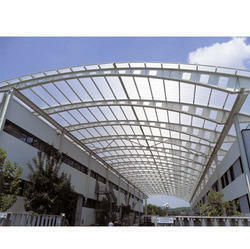 Our company has gained name and fame in presenting Polycarbonate Sheet. Matching up with the requirements of customers, we are involved in presenting a wide array of Polycarbonate Multiwall Sheet. Polycarbonate plastic is a light weight, high performance plastic that possesses a unique balance of toughness, dimensional stability, optical clarity, high heat resistance and excellent electrical resistance. Matching up with the exact requirements of customers, we are involved in presenting a wide array of Polycarbonate Sheet. Our clients can avail from us a wide range of Polycarbonate Sheet, as we are engaged in offering these products all over the country. Our complete range is resistant to scratch and ensures long lasting flawlessness. Last but not the least, we are offering this Polycarbonate Sheet to our clients at market-leading rates. To meet the various requirements of the customers, we are involved in offering a wide assortment of Polycarbonate Sheet. Used: for Roofing, Canopy, Skylights, Green Houses, Industrial Roof Strip Lighting. 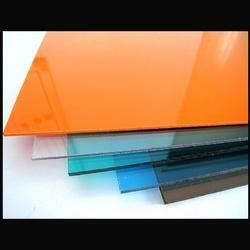 Being a well-distinguished company in the market, we are into offering Polycarbonate Sheet. • Solid sheets from 1.5mm to 10 mm in 1220mm and 2050mm width. • Embossed Sheets from 1.5mm to 6mm in 1220mm and 2050mm width. • Multiwall sheets from 4mm to 16mm in 1210mm and 2100mm width. • Corrugated sheets from 0.8mm to 2mm in several profiles. • Architectural systems Standing seams from 6mm to 20mm in Top & Bottom connectors. We bring forth our vast industrial experience and expertise in this business, instrumental in providing Greenhouse Polycarbonate Sheet.